To meet the demands of those admirable people who live busily – yet graciously – in this progressive city of Detroit, The Wardell was conceived and founded. It has been designed, built and equipped for those who wish to enjoy permanently the luxury and service of a fine hotel, yet in the matter of home furnishings, prefer to have their own things around them. Each apartment in The Wardell in every sense of the word is a home, in which every modern comfort and every desired service are supplied. The Wardell, named for Fred Wardell, founder of the Eureka Co, was designed by the firm Weston & Ellington, built by Bryant and Detwiler with architectural sculptures created by Corrado Parducci. The $4,000,000 project attracted the attention of architects, engineers and construction men throughout the country. The Wardell was purchased by Sheraton Hotels in the 1943 and became the Wardell-Sheraton. Around this time, Sheraton had a popular hotel in New York, the Park Sheraton. To gain name recognition, the Wardell’s name was changed in December of 1951 to the Park Sheraton. Nine months later, Sheraton Hotels sold the building to New Yorker Louis Schleiffer. Having to change the “Sheraton” name, it is assumed Schleiffer chose “Shelton”, as it was similar. The name stuck. 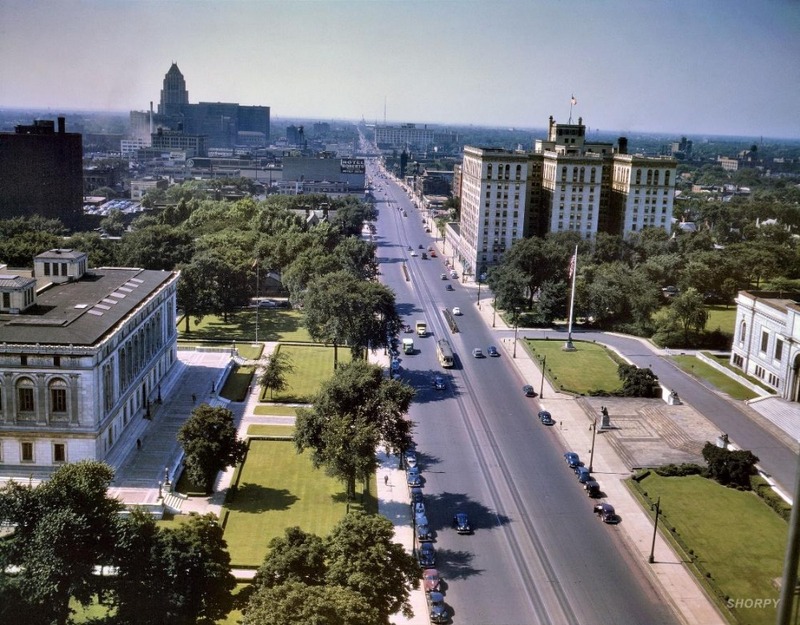 While many of the city’s old hotels were either demolished or abandoned, the Park Shelton dodged this fate thanks largely to its deluxe style and prime location in the heart of Detroit’s Cultural Center. The building remained popular among celebrities passing through Detroit. 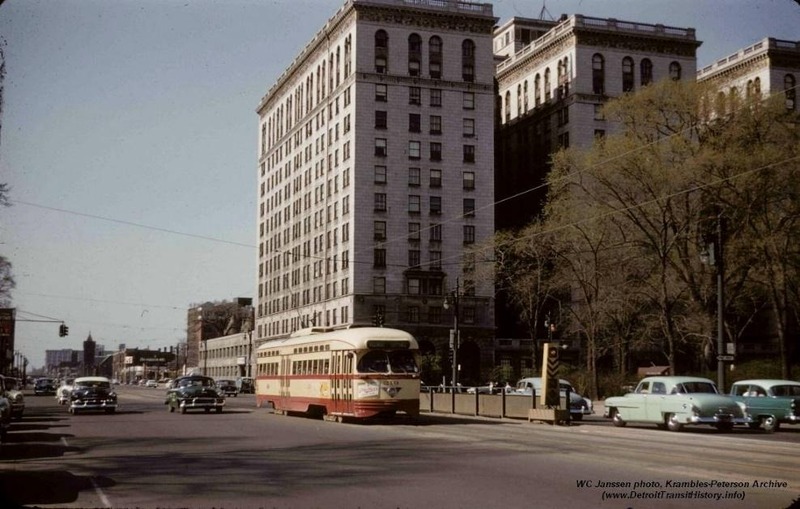 During the 1950s or ’60s, the building’s rooftop cornice was removed in an attempt to modernize the hotel’s appearance. Shaded by lush trees, this smart-looking building resembled a posh residential hotel in Manhattan, but the locale is Midtown Detroit. It was the Detroit hotel of choice for such celebrities as Bob Hope, George Burns, Gracie Allen, and Raymond Burr. It also claims the honor of being the home of Diego Rivera and Frida Kahlo when Rivera was painting his “Detroit Industry” murals at the Detroit Institute of Arts across the street. Henry Ford put Frida Kahlo and Diego Rivera up in the building for more than 6 months. In the 1970s, the Park Shelton Hotel was converted to apartments and in August 2004 a newly refurbished building was opened as 227 luxury condos with retail and restaurants on the ground floor. The lobby has maintained its elegance with rectangular columns capped in gold leaf, ornate plaster ceilings, dark marble accents and an antique clock hanging near the reception desk. The Park Shelton has been home to generations of local residents of the city, from Professors, to auto tycoons, to students and others. 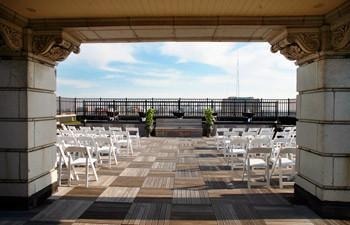 The 12-story building is located at 15 E. Kirby Street, on the corner of Kirby and Woodward Avenue in Midtown Detroit. In 2007 The Park Shelton joined the National Register of Historic Places as The Wardell.